Zen Girl: 30 day Yoga Challenge is back ~ Mermaid Yogis starts September 1st! 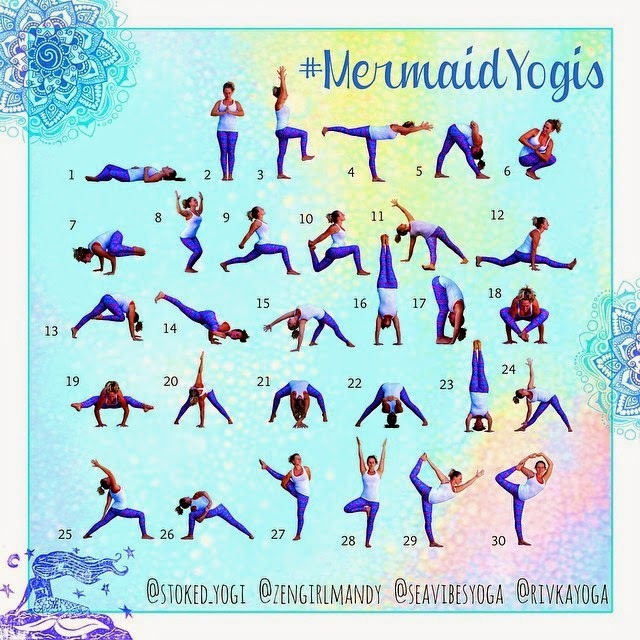 30 day Yoga Challenge is back ~ Mermaid Yogis starts September 1st! Here we are, sweet mermaids ~ at the end of a glorious summer, planting seeds and re-shaping our energy and outlook for autumn to come. Luckily, here in San Diego, we experience an almost year round endless summer, but for those of you that are mourning the loss of carefree days at the beach, know that this sunshine can always exist in your heart. Amelia Travis and I have created another 30 day #mermaidyogis challenge to unite all our sweet yoga and ocean-loving mermaid sisters around the world. 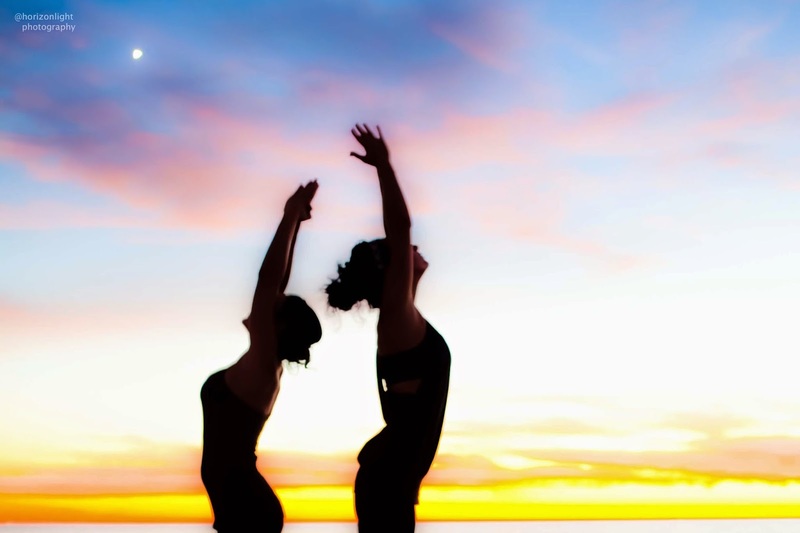 This month, we've got two new yoginis hosting the challenge alongside of us. Rivka Reynoso (@rivkayoga) lives in Utah and teaches Ashtanga, Vinyasa and SUP Yoga; and Jaysea DeVoe (@seavibesyoga) our resident mini-mermaid, who just turned 13 years old and is the youngest certified yoga teacher in the US. 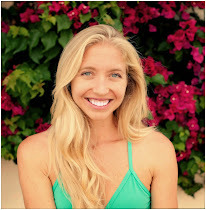 She teaches locally here in Encinitas and trained with Amelia in SUP Yoga. This month, we encourage discipline, focus and dedication as we collectively shift our gazes to the closing of 2014. With only four month left in this year, I invite you to ask yourself - What else is left for me to learn in 2014? What areas of my life need more nourishment and more of my focus in these last few months of the year? We purposefully chose to start this particular 30 day yoga challenge with a quintessential restorative, healing yoga posture -- Supta Baddha Konasana, also known as reclining bound angle or butterfly pose. By starting the month together in this way, let our collective intention be one of self-care and self-love. Earlier today, I saw this quote from Olivia Wilde and it made me laugh out loud: "Take care of yourself now that you’re old enough to know how. Drink water, sleep eight hours (I wish), and don’t go within 400 feet of a tanning booth or I’ll slap you. Hard." Haha! Well, that about sums it up! Have so much fun this month. Stay connected to us and the hundreds (thousands?) of other yoginis playing along from all over the world. Make new friends, invite old ones to flow with you and most importantly: spend some quality time out in nature, breathing, moving and taking good care of yourself. Here's to an amazing month! The four of us hosts (Amelia, Rivka, Jaysea and myself) will be offering variations on each pose every day. Check in with us the night before and morning-of to learn all the different ways you can modify the given pose to make it accessible to you. We will be posting lots of photo and video tutorials on instagram (find me here: @zengirlmandy) and facebook. A huge THANK YOU to our generous challenge sponsors this month! For the first time ever, we will be giving away this Glide Stand Up Paddle Board and paddle, along with surf-friendly Jolyn bikinis, organic sunscreen by Raw Elements USA, this gorgeous "salty kisses" mala by Blooming Lotus Jewelry, Teeki leggings, this traveling-yogi friendly Manduka yoga mat, block and towel set, and also cute shades from Sunskis -- a great company that gives back 1% of its revenue to environmental nonprofits. 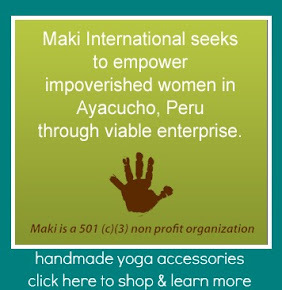 We only partner with companies whose missions are kind to the Earth and all of humanity. For more on our #mermaidyogis movement including our upcoming retreat to Mexico and free guided meditations, visit us here. That's amazing!! I would hurt myself, haha! Must practice!! Good that this blog has made me to think of the yoga again.